Britons receive mixed messages about money. On one hand, sound financial management calls for planning and saving for the future. Yet at the same time, every opportunity is used to get buyers’ attention, swaying them to purchase consumer goods of all sorts. With so much interference, it is no wonder people lose sight of their financial goals. Without a clear vision for your financial future, it is difficult to plot an effective course. And since financial success often comes down to your spending priorities, you need to identify your most important ones. Once you’re committed to a set of financial goals, following this proven blueprint can help you reach them without getting sidetracked by the distractions. Money worries are widespread among Britons, adding stress to personal finance. And it only makes matters worse when your money isn’t working for you, helping carry you closer to security and happiness. If you aren’t reaching your financial goals fast enough, finding success might be a matter of streamlining your approach. To change the way you think about money, answer two important questions. What is it about your current financial situation that makes you unhappy? And which financial goal would make you happiest to accomplish? Answers to these questions provide actionable targets you can work with, moving you monetary objectives forward. If family is your focus, for example, home mortgages and other nest building spending are in your future. Your financial planning should accommodate these goals. On the other hand, if your concerns are more immediate, shopping for short-term financing might be more important than tracking mortgage rates. Identifying what makes you happy guides you in the right direction, allowing you to let go of the “unhappy” financial concerns holding you back. Once you’ve set some financial priorities, you’ll want a detailed understanding of the way money moves through your hands. Without an accurate sense of where your money goes, you’ll have a hard time setting aside resources that advance your financial goals. For the best results, log your income and spending in a journal or ledger, compiling daily, weekly, and monthly spending totals. With several months’ worth of accurate records to draw from, you should be able to trace every pound you earn and spend. Whatever financial goals you prioritise, it is important that you also set intermediate benchmarks, so you can monitor your progress reaching your ultimate objectives. A long term goal of saving for retirement might include a sense of where you’d like to be at age 40, 50, and 60. By setting goals and periodically measuring your financial progress, you’ll have time to adjust your retirement planning and correct shortfalls. Your salary represents another metric you can use to track your personal financial progress. Is your take home income more than it was 5 years ago? Is there further income mobility in your current work role? Accounting for these concerns ensures your earnings keep pace with your spending needs. And if your salary consistently falls short of expectations, tracking your income can help you make the employment changes needed to boost your earnings. Like resolutions made for the New Year, many financial commitments have a way of falling off before they are seen through. Staying focused is the crucial ingredient bridging your financial plan with the results you desire. Without discipline, progress can quickly be lost and your hard work planning goes for naught. As discussed earlier, setting interim goals can help keep you moving in the right direction, providing small victories to relish as you continue moving toward your ultimate goals. 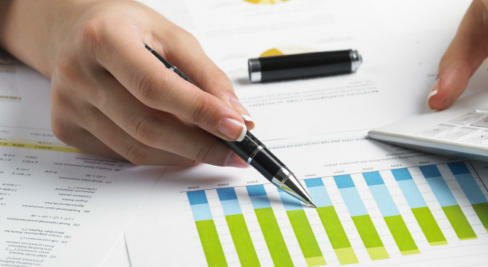 In addition, conducting periodic review of your finances will also reinforce your resolve, giving you the timely information needed to stay focused on the endgame. Modern money management can leave you feeling overwhelmed. With so many distractions influencing your finances, even staying focused can be challenging. In order to reach your financial goals, first set out in the right direction, establishing your priorities. And then take these steps to accomplish your mission.